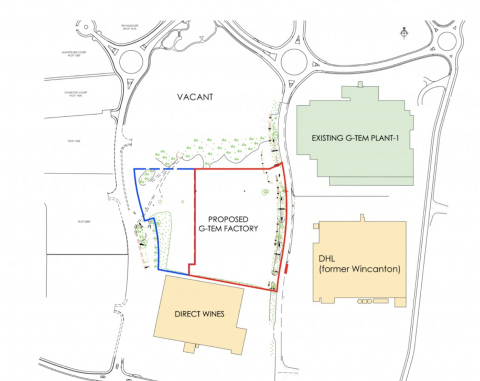 Plans have been submitted for a large new metal pressing and welding factory on the Business Park. The project will provide additional space for G-TEM who have been based on the Park for many years. The company’s current facility employs around 500 people; the new building will provide space for around 150 additional staff. G-TEM makes body panels for a number of car manufacturers. 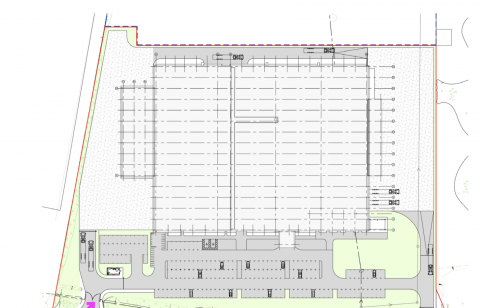 The proposed factory will provide space equivalent to around two football pitches (11,536 sq m) and will be 18.6m high. There will be 154 parking spaces. There is also some additional space available for later expansion. You can find out more about the proposal, see the plans and read a host of technical documents on Tewkesbury’s planning portal here. And if you want to make any comments on the proposals you have about three weeks to submit these. Will there be enough parking so that yet more people don’t park on the Cranham Gate estate ?